Here's an example of where we got it wrong, what we've done to fix it, and what we'll do in future to avoid it. When you make some changes to a vehicle (eg changing the type of fuel it uses), it affects how much vehicle tax you have to pay. This process used to be known as 'exchanging your tax disc'. 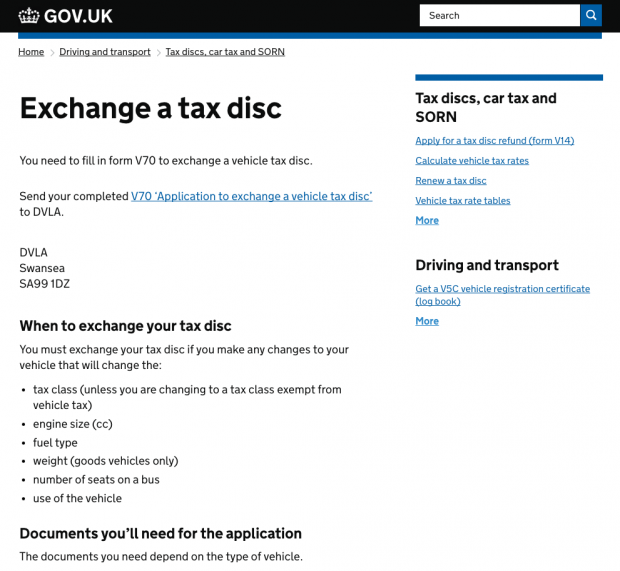 There was a piece of content on GOV.UK called 'Exchange your tax disc' to help users do it. 'Exchange a tax disc' on GOV.UK in 2014. The tax disc was scrapped in October 2014. We didn't know much about how users would now refer to this process. The content was renamed to 'Change your vehicle tax' to try and reflect the fact that you were no longer exchanging a tax disc. And that's when things started to go wrong. Change what about your vehicle tax? With a title like 'Change your vehicle tax', you'd be quite right to ask what you're changing about it. How much you pay? How you pay it? Changing it from one vehicle to another? No. It's still about changing the tax class it falls into. With a misleading title, the page started getting up to 10 times as many views as it had previously. Users were left frustrated as they were expecting the content to be something else. 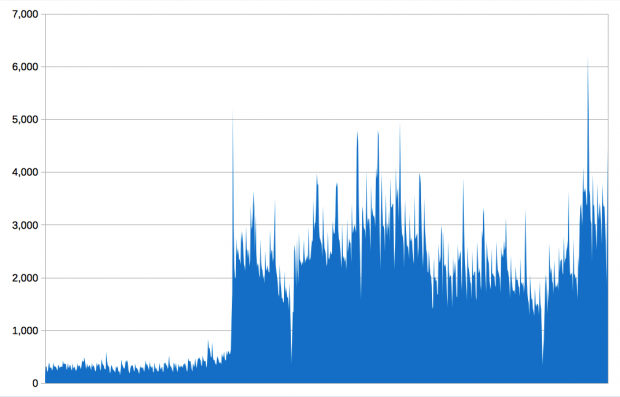 With just a few changes of words, up to 3,000 users a day were viewing content that wasn't what they needed. Daily page views of the 'Change your vehicle tax' page from 1 January 2014 to 29 March 2016. The jump in views starts on 1 October 2014 - when the tax disc was scrapped. We've made improvements. The guide is now called 'Change your vehicle's tax class', and we've rewritten it to make it clearer. The content also has related links to take users to the right place if they still land in the wrong place. When we do anything like this again, we'll keep a much closer eye on the analytics to make sure we've not sent people to the wrong place. We'll also look at user feedback much more regularly to spot early warning signs. Most importantly, we'll test titles to find out what people would expect to find there - even if it's just asking colleagues who aren't familiar with the content. We're sharing this because we want other people to be able to learn from it. So take a look at your content titles and user feedback to see if users are getting what they expect. Test out titles with users, and don't forget to use tools like Google Trends to find out what users are searching for. And finally, brush up on the GOV.UK guidance for writing titles and summaries if you haven't had a look for a while.